Rugby is a sport that brings people together. Such values are at the forefront of recent progress throughout the Americas and beyond since Rugby World Cup 2007. Within the Americas cooperation is a alive and well with competitions such as the Americas Rugby Championship, the future Americas Six Nations and the USA's recent non-capped tour of Argentina and Uruguay. Such ventures provide the region with a promising future that could see not only Argentina hosting a Rugby World Cup but both the USA and Canada also having the opportunity to do so and both as solo hosts. 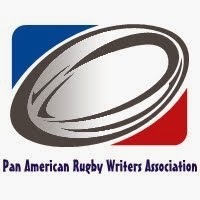 The rugby media of the region is very much excited about the future and with this in mine I am honored and humbled to share with my readers the news that Americas Rugby News has been launched. The website is focused on covering everything from Canada in the North to Argentina in the South and everything in between. With the ongoing movement to establish the new Americas Six Nations Championship the continental region of the Americas is certain to gain increased attention from the rugby media in the coming years and Americas Rugby News plans to be there every step of the way. Indeed events mean that the time has come for a collective effort to involve all of the Americas. Both Bryan and Ted are highly respected rugby writers and I am extremely delighted to be working together with them. They focus their efforts on Canadian and U.S rugby respectively while I will be covering Argentina and, more broadly, South America. To help out please read the website and help us with our vision by sharing with friends.